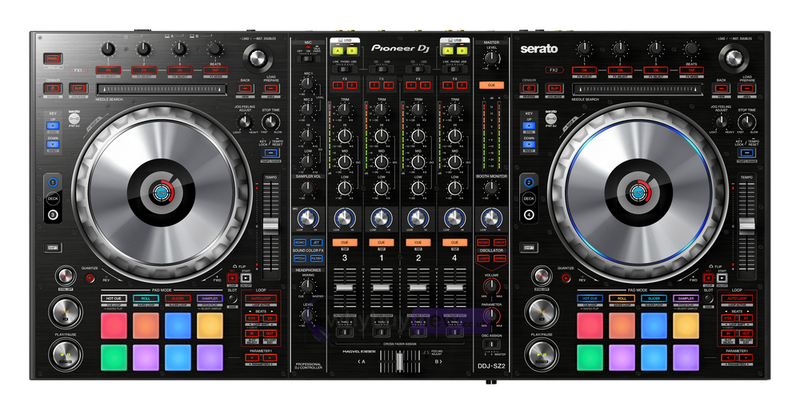 Pioneer have upgraded their flagship Serato DJ controller to create the Pioneer DDJ-SZ2. You can use the 4-channel controller to get hands-on with the latest additions to Serato DJ, including key shift, key sync, pitch play and Serato Flip. The multicoloured Performance Pads give you instant feedback on pad modes and playing statuses, and thanks to the improved jog wheel latency, scratching is more responsive and precise than ever. The DDJ-SZ2 features an aluminium finished top panel and job wheels and a layout that mirrors the CDJ-style set-up. 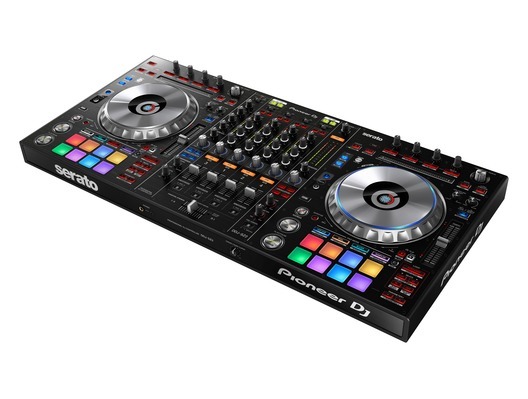 To help you get the most out of the controller, the Pioneer DDJ-SZ2 comes bundled with the latest version of Serato DJ. The Pitch 'n Time DJ and Serato Flip expansion packs are also included so you can use several new features including pitch play and key sync. Key shift, key sync and pitch play: Use dedicated controls to trigger the new key shift and key sync functions in Serato DJ, which let you adjust the key of tracks and sync the keys of tracks during mixes. Pitch play lets you play your Hot Cues across a range of different keys and assign them to the controller's Performance Pads. Sound Colour FX: Spice up your sets with the four popular Sound Colour FX from our DJM series; Echo, Jet, Pitch and Filter. You can sync Echo with the BPM of the track that's playing. The Magvel crossfader - taken from the club standard DJM-900NXS2 - is the ultimate to mix and scratch with. Accurate and smooth, it's durable for more than 10 million movements and is liquid and dust resistant. Hear your tracks loud and clear thanks to the audio circuit inherited from professional Pioneer DJ gear. Contact resistance is reduced by the AC inlet, and the high performance D/A converter made by Cirrus Logic, Inc., and low jitter oscillator mean the DDJ-SZ2 reproduces clear and powerful sound that's faithful to its source. 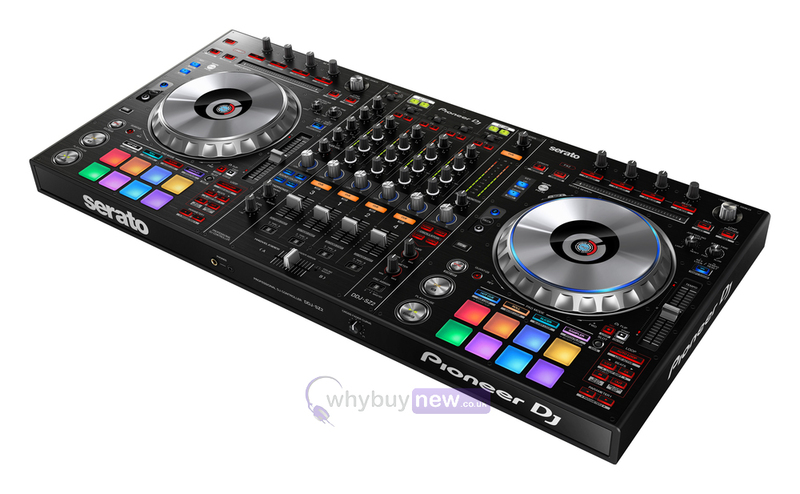 Here we have the Pioneer DDJ-SZ2 in brand new condition and in B-Stock. The B-Stock versions would have been on display at a training evening or trade exhibition only and will come boxed 'as new' with all accessories and a 1-year warranty.